If the writ of the Central Board of Film Certification does not hold in even BJP-ruled states, what is the point of it all? 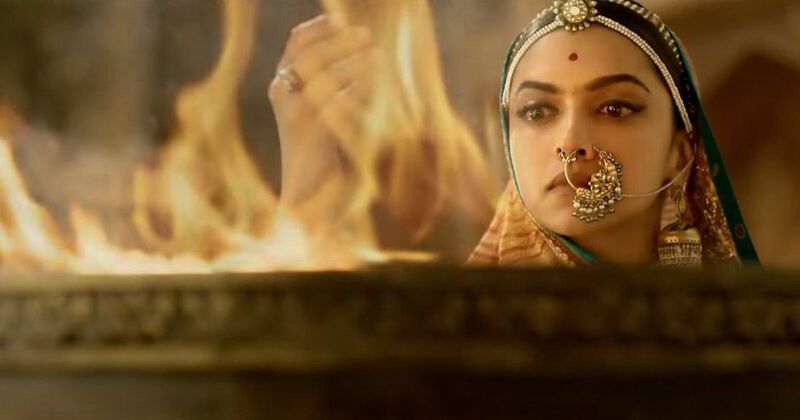 Padmaavat looks all set to arrive in cinemas on January 25 – but has the memo gone out to members of the Bharatiya Janata Party, who continue to issue threats against its release? Sanjay Leela Bhansali’s period drama, starring Deepika Padukone, Ranveer Singh and Shahid Kapoor, has been cleared by the Central Board of Film Certification with a U/A certificate and five cuts. The title has been changed from Padmavati to Padmaavat as per the board’s recommendation. Co-producer and distributor Viacom18 Motion Pictures put out a press release on Saturday confirming a worldwide release in Hindi, Tamil and Telugu. 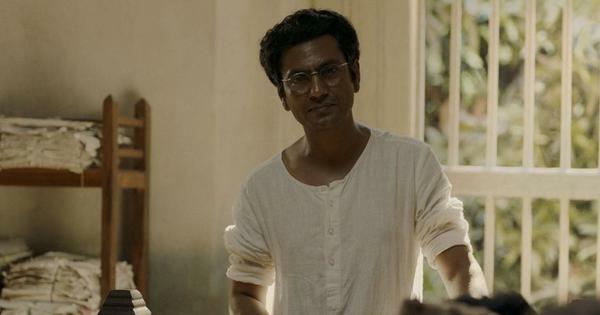 However, despite the censor board’s green signal, the movie has been banned in Rajasthan, Madhya Pradesh and Gujarat, all of which are BJP-ruled states. This is entirely legal. State governments have the power to block a film’s release even after censor clearance. “The enforcement of compliance to the provisions of the Cinematograph Act, 1952 is entrusted to the State Governments /Union Territory Administrations, since exhibition of films is a State subject,” the CBFC website says. In the case of Padmaavat, though, the chief ministers of these states are undermining the credibility of the Central Board of Film Certification chairperson Prasoon Joshi, who was appointed to his position by their own government at the Centre. Padmaavat has been cleared for release only after being subjected to a Parliamentary panel and a committee of historians. Joshi’s decision, while not binding on state governments, should ideally be the final word on the subject. By ignoring the censor board on Padmaavat, chief ministers Vasundhara Raje, Shivraj Singh Chouhan and Vinay Rupani are allowing state-level politics to override a decision taken by an organisation with a clear mandate to decide on the fate of movies for the entire country. If every state government decides to follow suit depending on regional exigencies – an election, a supposed law and order problem – then the censor board’s authority will continue to be severely eroded. Neither the Prime Minister’s Office nor the Information and Broadcasting ministry, which oversees the functioning of the censor board, has sent out a strong message condemning the attacks on Padmaavat. There has been no end to protests by the Rajput Karni Sena, the community organisation that has been leading attacks on the movie since early 2017 on the grounds that it distorts history. On Friday, over 130 Rajput Karni Sena members were arrested in Mumbai for staging a protest outside the CBFC headquarters in Mumbai. The organisation has demanded that the certification be revoked until its leaders have watched the movie, and have threatened to burn down cinemas that screen the film. As if that wasn’t enough, Union Minister Ramdas Athawale on Saturday spoke up for Rajput pride. Athawale, who is the Minister of State for Social Justice and Empowerment, said that changing the movie’s name wasn’t enough. He said that Padmaavat should not be exhibited until sequences that can potentially upset members of the Rajput community are excised. This leaves the distributors of Padmaavat at the mercy of local law enforcement agencies. Although Viacom18 hopes to have the film screened at the maximum number of theatres across the country, there is a strong possibility that several single-screen cinemas and smaller multiplex chains will be too nervous to include Padmaavat on their schedules – which is exactly what the movie’s opponents want. The operations of the Central Board of Film Certification have never been free from accusations of prejudice, politicisation and high-handedness. It appeared for a while that the board would permanently block Padmaavat and thereby carry out the will of hardline elements in the BJP, but that hasn’t happened. The BJP-appointed chairperson has permitted Bhansali’s period epic to emerge from its trial by fire. If chief ministers and leaders from the same party refuse to accept this fact, it speaks volumes about the BJP’s opportunistic position on the freedom of expression.